Karen Armstrong, in her book, The Case for God, doesn’t do what you think she does. Armstrong is a religious academic and historian, and a damn good one at that. She is a religious apologist, but not for the kind of religion most of us think of when we think of religion. She has just as many criticisms with religion as most atheists do including, I would say, people like Richard Dawkins and Sam Harris. Where they differ however is their scope in what they mean by religion in the first place. Most people’s ideas about religion are highly reductionist. Questions like “Do you believe in God”, or “Are you a Christian”, are usually easily understood and answered accordingly through common connotations and cultural assumption. Religion and God usually mean very clear things, whether is the Evangelical version or the Mormon version, there is a level of certainty in making these claims and assumptions. As we’ll see many atheists and Armstrong could not agree more in their criticism about this sort of religion. However, most atheists stop here and limit their criticism of religion to this narrow arena of understanding and praxis. Generally speaking, mystics, yes even Christian mystics, and many eastern traditions embrace relative amounts of uncertainty and not knowing. Religion and God are understood as being metaphorical labels and symbols for that which cannot be known and cannot be spoken about by limited human minds, languages and imaginations. They speak of religion and God in a completely different way, that in Armstrong’s view is more true and authentic. Armstrong says that what religion truly is and can be is fundamentally at odds with the majority of its worldly manifestations that cling to certainty and dogma. In her view, some religion is better than others depending on the level of embrace of not-knowing. Again, here she will agree with many atheists. I will present some of her amazing ideas, then offer some of my own, including criticisms of her work. Armstrong begins by differentiating mythos and logos. Mythos was first designed “to help people to navigate the obscure regions of the psyche, which are difficult to access but which profoundly influence our thought and behavior” (xi). Myths were not effective if people simply believed in them, they were programs of action. Religion was based around mythos. It was not something people thought but what hey did. Truth was acquired through practical action influenced by and motivated by mythos. Religion however, went corrupt when logos began to overtake mythos. Myth was discredited and the scientific method took its place as the only reliable means of attaining truth. After this revolution, religious knowledge became theoretical rather than practical. Belief suddenly became a fundamental axiom and prerequisite of faith. Because of this transition, today we speak of believers and unbelievers as if accepting some amount of dogma is an essential activity (xv). In Armstrong’s view, this is a gross distortion of what religion is. Many of us have been “left stranded with an incoherent concept of god” (320). We have forgotten to value unknowing. It is important to “recognize the limits of our knowledge, silence, reticence, and awe” (xviii). Religious practice must naturally entail what she calls ‘esktasis’, which can be described as a stepping outside the norm, “stepping outside the prism of ego and experience the sacred” (xiii). It necessarily involved uncertainty. This unknowing was celebrated and delighted in. In transcending the ego through religious practice, for example, we experience sadness directly, “it not longer become my sadness but sorrow itself” (xiv). The sacred, or God, is transcendent. In the vain of Tillich and Heidegger, this is what is called the Ground of Being. The eternal Tao is the Tao that cannot be named. The Tao has no qualities, no form. It can be experienced but never seen, it is not a god. It predates heaven and earth. It is beyond divinity, neither being nor nonbeing. As Armstrong summed up, “it [is] impossible to define or describe, because Being is all encompassing and our minds are only equipped to deal with particular beings, which can merely participate in it in a restricted manner” (11). This ground is a power that is higher, deeper and more fundamental than our notions of god or gods. It transcends our limited personalities. In every religious tradition, there is a “deliberate and principled reticence about god and/or the sacred” (xviii). Being itself, is not only the ground of being, it is also the ground of the human psyche. It is neither external nor alien to humanity. The two are connected. This is the microcosm and macrocosm, the atman and Brahman. This is how we are able to experience it…we are it! Human beings are wired to yearn for transcendent experiences, to yearn for esktasis. In this way, Armstrong argues that religion, as it should be practiced and understood will never disappear. It is a defining aspect of humanity. She says, “the desire to cultivate a sense of the transcendent may be the defining human characteristic” (9). For Armstrong, this lasted until the rise of modernity, the rise of logos at the expense of mythos. “Before the modern period, most men and women were naturally inclined to religion and they were prepared to work at it” (10). Before modernism, people were not expected to believe in the abstract. Humanity forgot that “authentic religious discourse could not lead to clear, distinct and empirically verified truth” (21). Religion is not something provided to the masses by authority figures, it was not a notional activity. Accepting dogma on someone else’s authority completely abdicates personal responsibility. Religion did not require belief in a set of doctrines. She says, “Religious discourse should not attempt to impart clear information about the divine but should lead to an appreciation of the limits of language and understanding…it could not be accessed by rational, discursive thought but required a carefully cultivated state of mind and the abnegation of selflessness” (26). Faith was a matter of practical insight and active commitment, it had little to do with abstract belief. For example, the Buddha had little time for theological speculation and metaphysical questions. What difference would it make to discover that a god had created the world? “Pain, hatred, grief and sorrow would still exist. These issues were irrelevant” (23). For Armstrong, modernity brought a lust for certainty. This certainty made religion more logos based at the expense of a more transcendent, unknowning based religion, which is more authentic and transformative and real. For someone who has much criticism for the reductionism of religion, she is being highly reductionist in her view of modernism. Modernism can be said in part to be a response to the tyranny and oppressive authority of religion. Nonetheless, she elevates the religion of the past and says what we see today is a distortion of a truth lost in translation. Secularism for Armstrong has a large negative effect. She does not see it as the fulfillment of the rational ethos of the enlightenment. Secularism in her view is creating a violent and oppressive religious backlash. She says a militant religiosity, will “emerge in every region where a secular, western style government had separated religion and politics” (292-3). Fundamentalists feel under threat, they are defensive and are unwilling to entertain rival points of view be they other religions, or social issues such as evolution, homosexuality, feminism and abortion. Secularism did not create these fundamentalists. They are reacting to it. “Atheism is parasitically dependent on the form of theism it seeks to eliminate and becomes its reverse mirror image…all three [Sam Harris, Christopher Hitchens and Richard Dawkins) insist that fundamentalism constitutes the essence and core of all religion” (xvi). This may be true. However, Armstrong takes her views much further. She says, “Dawkins is not correct to assume that fundamentalist belief either represents or is even typical of either Christianity or religion as a whole…he is mistaken to assume that this is the way people have generally understood the term God (304)…Christian fundamentalists are convinced that their doctrinal beliefs are an accurate, final expression of sacred truth and that every word of the Bible is literally true – an attitude that is a radical departure from mainstream Christian tradition (294)” Does this woman live under a rock or something? Anywhere from 33% to 62% of Americans think the Bible is the literal truth of God. I know that’s quite a spectrum, but best-case scenario is 33%. That’s one third of Americans! And that is no small demographic! Refer to previous blog posts about the prominence of fundamentalist religion in the world. I do agree with Armstrong when she says “this type of religiosity represents a retreat from god” (295). In this way, she completely agrees with atheists. She says the holy trinity (Harris, Hitchens and Dawkins) present religion at its absolute worst (306), which is also true. However, she continues saying that they are not “theologically literate,” and are intellectually conservative. 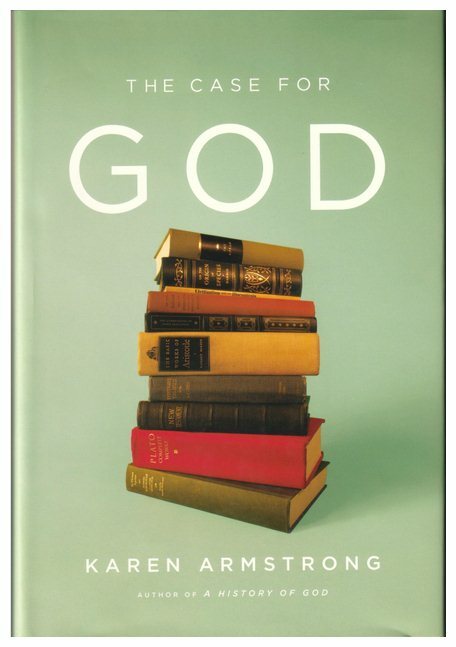 “They never discuss the work of such theologians as Bultmann or Tillich who offer a very different view of religion and is closer to mainstream religion than any fundamentalist” (307). While this is also true she is false to make the assumption that notknowing religion is closer to the mainstream than fundamentalist religion. She downplays its manifestation, its influence and its power and thus undervalues the atheist and secular agendas. Atheism, for her, is just another divisive theology. She does not see its importance in the overall debate concerning sacredness. After all, what can be more sacred than a rational and well thought out critique of religion and its superstitions and dogmas? She says the “atheist assault is likely to drive the fundamentalists to even greater commitment to creationism, and their contemptuous dismissal of Islam is a gift to Muslim extremists, who can use it to argue that the West is indeed intent on a new crusade” (308). This may also be true but it does not mean that atheism should be abandoned or discredited! Arstrong’s conclusions and calls for action are hard to disagree with however. We do indeed need to shed a great deal of our knowledge about religion so that we can move on to new insights. Where she and I disagree is that atheism and secularism is a necessary player in this process. Faith and belief, she says, have become unfortunately fused in modern consciousness (305). Belief now exclusively means an intellectual submission to a “somewhat dubious position.” What it means to be religious or to believe in God no longer means what it used to. We are stuck in certainty. She says, “to make limited historical phenomena – a particular idea of god, creation science, family values, Islam or the holy land – more important than the sacred reverence due to the ‘other’ is a sacrilegious denial of everything that god stands for” (322). However, there is an innate desire for ekstasis, for mythos. Armstrong thinks we are entering a post-secular age. She hopes that atheist and theist alike should abandon the modern appetite for certainty. “No state of affairs is permanent, and we are now witnessing the death of the death of god.” She calls for a “negative theology”, namely a theology based in unknowing. We should drive our reasoning power to the point where we can go no further, and in this moment, we should not be frustrated but should experience a sense of “astonishment, awe and contentment.” We can turn within and become aware of otherness. Religion should be transformative with a marked effect on the personality. There is no dramatic “born-again” experience defined by intense certainty, but is a slow, incremental and imperceptible transformation. I will return to Armstrong more when I begin discussing Ken Wilber. Most particularly, his idea of the pre/post fallacy.